Brushing and flossing every day is an important part of oral hygiene, but regular visits to your dental hygienist are equally important. Dentistry 390 wants to provide you with the best oral hygiene possible which is why we recommend regular hygiene appointments at a frequency based on your individual needs..
Getting your teeth cleaned regularly by our hygienist offers the greatest defence against gum disease and can help prevent cavities. 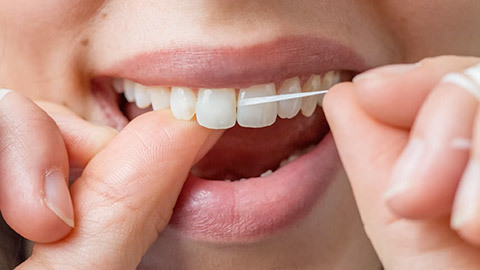 Cleaning of teeth involves not only the removal of minor stains, but also gets rid of the tarter build-up flossing and brushing cannot remove. A regular cleaning also provides the chance for our hygienist to spot any signs of early disease before it becomes a serious problem. Our hygienists will also take the time to show you a personalized home care regimen and recommend the best home care tools for your condition. If you are prone to cavities, our hygienists can suggest modifications to your home care and diet that can substantially reduce your risk of future cavities. If you would like to add fluoride as an extra preventive measure, our hygienists can discuss the various ways to add fluoride to your routine. If you prefer not to have fluoride, our hygienists can recommend alternative products to help reduce your risk of cavities. During our cleanings we also check for any signs of oral cancer. Oral cancer can be very dangerous and unfortunately is on the rise. We check for any unusual bumps or lesions at your appointment to help protect you from the threat of oral cancer. Risk factors include smoking, alcohol consumption, previous infection with HPV and age. If you need more information about Oral Hygiene/Cleaning in London, contact us today.